We Bring Your Image to Life PhotoTaxidermy is the newest and best way to show off your catch. A green alternative to traditional taxidermy. PhotoTaxidermy is a simpler, greener, and more affordable alternative to traditional taxidermy for showcasing your greatest wildlife trophy. Simply snap a photograph of your trophy, upload it to our site and have an exact 2D replica printed and sent to your doorstep. PhotoTaxidermy allows fishing and hunting enthusiasts to capture the thrill of the adventure with far less hassle and cost. Utilizing Fabric/Polyester Removable Adhesive Material, your new PhotoTaxidermy product can be applied to virtually any surface. Easily display your trophy on the mantel, in the man cave, the office, or pass it on as a gift from one generation to the next. In addition, traditional taxidermy often uses wasteful and dangerous materials that may harm the environment. Fishermen and hunters can skip that process but still preserve the thrill of the adventure with PhotoTaxidermy. You Can Place Your Trophy Nearly Anywhere and Enjoy The Memories! Once you receive your PhotoTaxidermy product in the mail, all you need to do is peel and apply it nearly anywhere! No tape or glue is necessary. Feel like moving your favorite trophy to a new space? No problem. PhotoTaxidermy’s Fabric/Polyester Removable Adhesive Material may be applied and re-applied to walls and other surfaces without losing adhesiveness or leaving any residue. Unlike plastic made taxidermies, a PhotoTaxidermy is an exact copy of your original trophy. No guesses, estimates, or rearranging. The image comes out exactly how you captured it. Getting a taxidermy involves wasteful and dangerous materials that harm the environment or require the catch to be present in order to be complete. 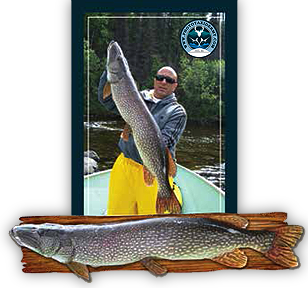 With PhotoTaxidermy, simply snap a picture of your catch, upload it to our site, and have an exact replica printed out and sent to your front door! Simply snap a photograph (preferably high-resolution) of your trophy (photos may include people if you desire a group shot). PhotoTaxidermy will take it from there to create your custom taxidermy and deliver it to your doorstep in approximately 4-7 days. Simply snap a picture of your trophyupload it & have an exact replica printed out and sent to your front door! What animals makes for great PhotoTaxidermy? Let us take your dull fishing or hunting photos and turn them into a vibrant, reusable full-size taxidermy wall mount. 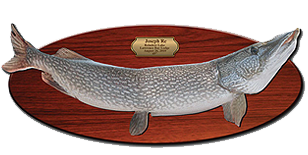 We look forward to helping you immortalize your catch into a trophy that will be enjoyed for years to come.